Right after our Stop 4, we head straight to Kwai Lock Kopitiam, which is located along Jalan Burma and Solok Moulmein. (opposite the Pulau Tikus police station). As this was not our first breakfast stop, we reach there at the peak hour. Finding a seat was tough, but luckily, we manage to secure 2 tables outside. The only problem was half of the table gets full blast of the sun. 2 of the guys in our group volunteer to take the seat outside. (aww.. so sweet of them). 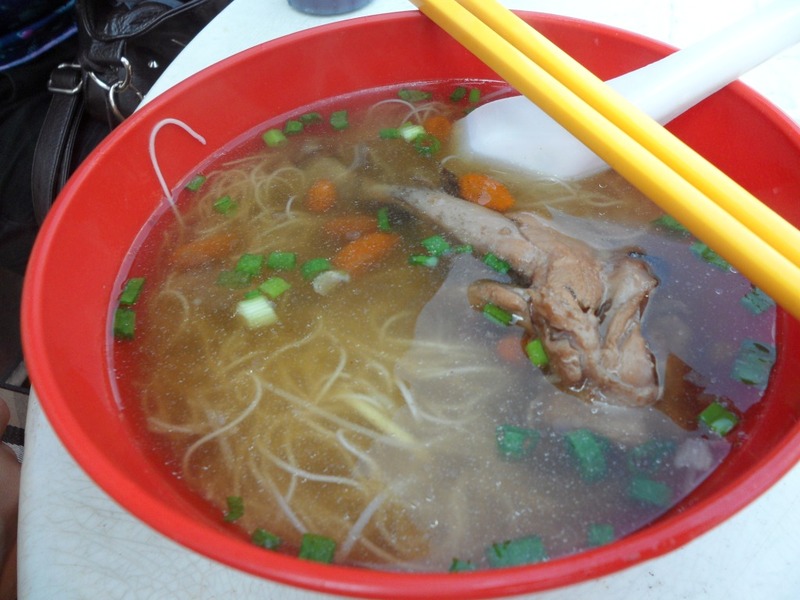 We had duck mee sua. The soup has a much lighter and clearer consistency compare the bidor version. The duck meat was very soft but not much herb taste. Apom !!! my favourite. 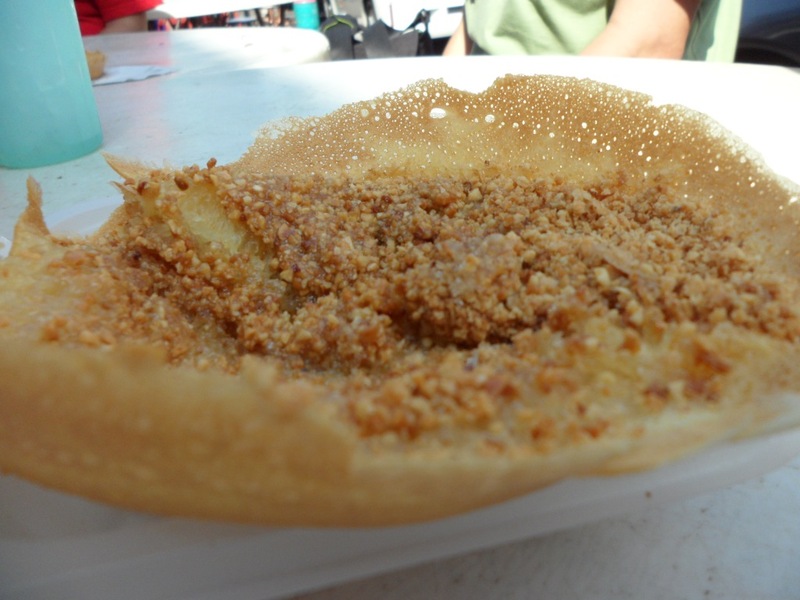 It is so hard to find these hard shell variety of apom now in KL. I ordered mine to have extra butter and peanuts. Look at the thick chuck of goey mess… yummm. 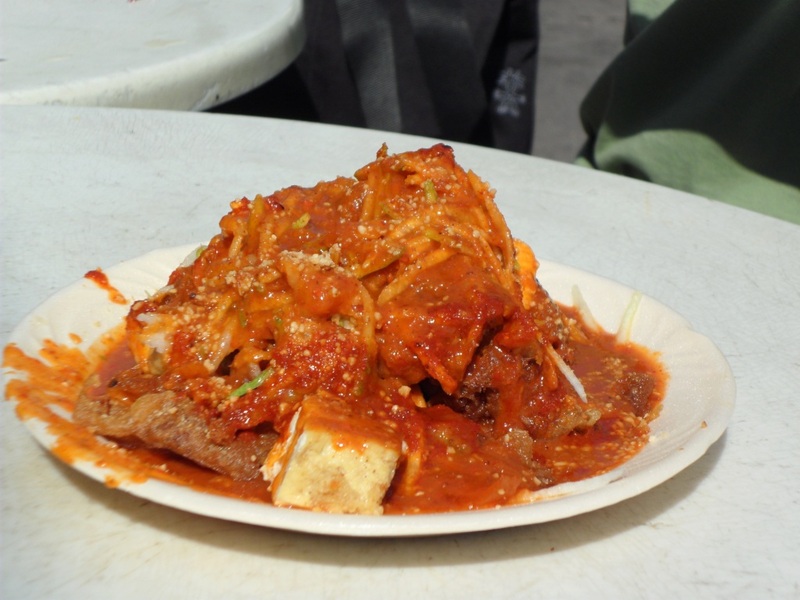 Rojak drenched in the pasembur sauce… yum yum. 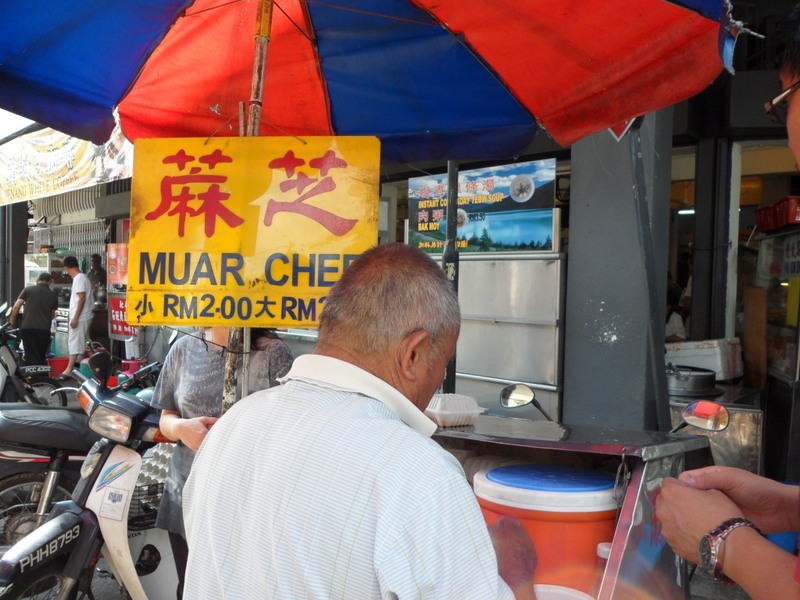 I also saw a little mobile Muar Chee stall at the end of the solok Moulmein. 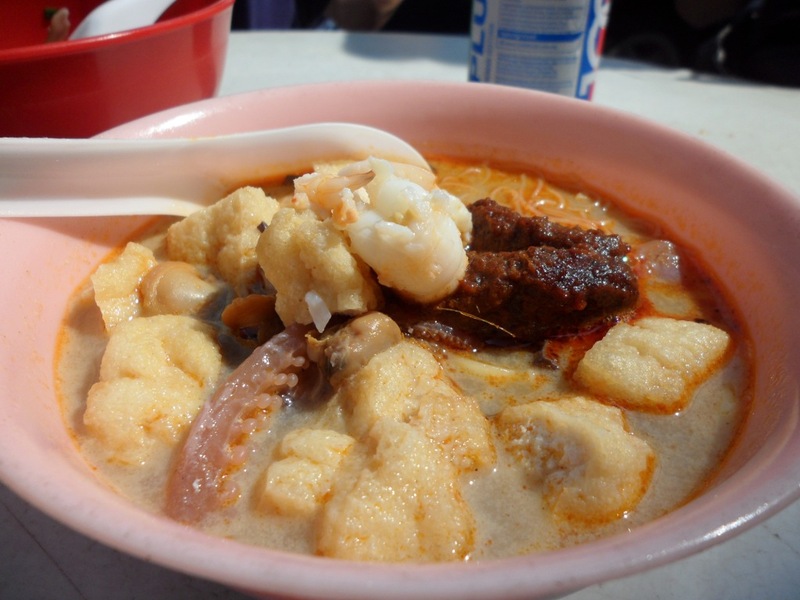 I love muar chee. So, I quickly bought one box to try. IT was definitely GOOD. 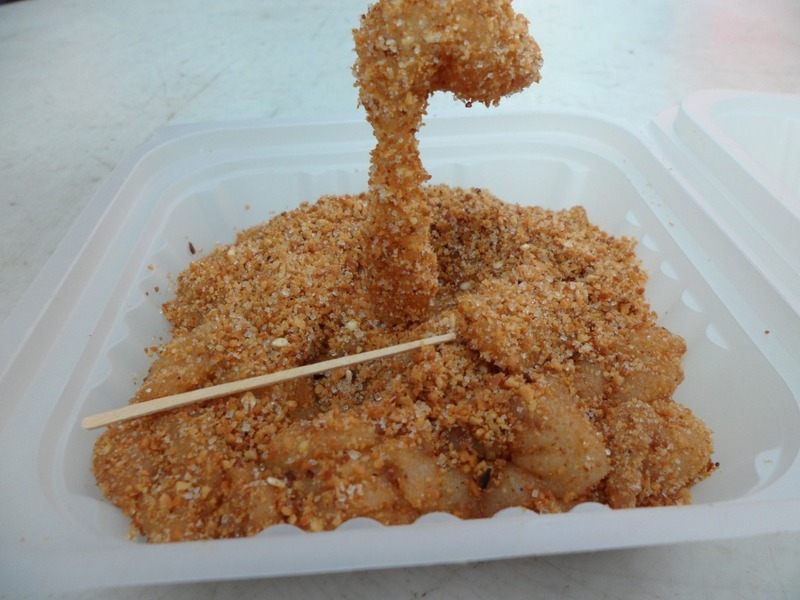 The sticky rice was soft and chewy coated with really fragrant crushed sweet peanuts. It was also still abit warm at touch. Very fresh indeed.